Baccarat has always been known as the game of choice among the smart set. It could be because James Bond played it, or that its other names – chemin de fer, punto banco have a definite aroma of classy casinos on the French and Italian Rivieras. Well, online baccarat allows you to be as classy as you like wherever you happen to be. 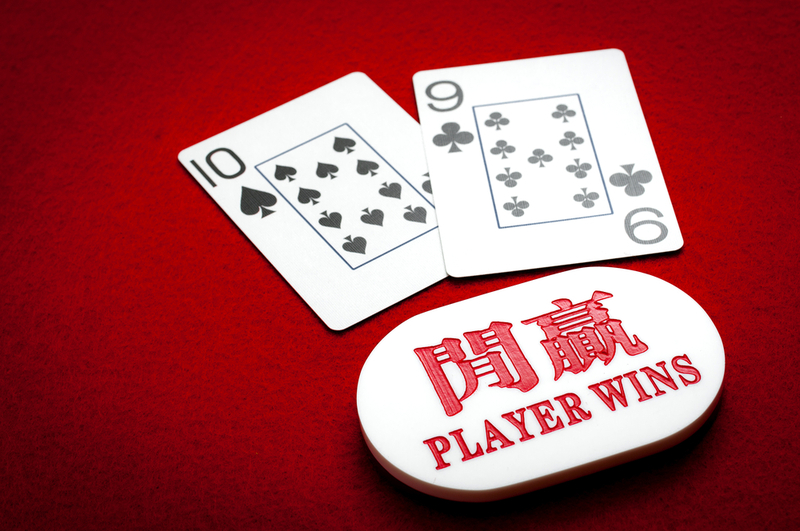 And far from being a European game, playing a baccarat game online is also a favourite pastime of Chinese people. Your mission, if you choose to accept it, is to make a hand which totals nine points, no more. So in that way it’s a little like Blackjack, except that there the total is 21. However, in Baccarat you don’t get your own hand. There are only two hands – the player’s hand and the banker’s hand. Anyone at the Baccarat table can bet on either of the two hands. There’s quite a lot of courtly and formal ritual in live casino Baccarat which doesn’t translate well online. This has led a lot of internet casinos to adapt their Baccarat game online, to better suit the online environment. However, if you understand the fundamentals of the game you’ll be able to adapt to the various flavours you find online. Before play starts, you bet on the hand that you think will win. This is a pure game of chance because you don’t yet have any idea what the cards are. In online Baccarat, the playing table usually has three betting options- “B” for banker, “P” for player and “T” for tie – a bet that both banker and player will achieve the same score. Once the bets are placed, the cards in both hands are turned face up and the dealer adds up the scores and reports the totals. If the player or the banker gets a score of 8 or 9, they win – and this type of hand is called “a natural” in Baccarat. If the player and the banker have the same score – it’s a tie. However, if the banker has 8 and the player 9, the player wins. Player 8, banker 9? Banker wins. However, one of the Baccarat tips you should know about in advance, is that if the total comes to ten or over, you ignore the digit on the left. So if the hand has an eight and a five, it adds up to 13 but the digit on the left is ignored, so the score is 3. As with Blackjack, there are certain initial scores that prompt extra cards to be dealt out. So another of the easy Baccarat tips to remember, is that there’s a chance that the initial two cards may not be the full hand. If the player’s initial score is 5 or less, another card is dealt to them. For the banker, the limits are different. If, in the banker’s hand, the two dealt cards add up to 3 or less, they get another card. If they add up to 4, 5 or 6, they also get another card. If the banker has a 4 and the player a total from 2 to 7, the banker must get another card. Same if the banker has 5 and player has 4 to 7, or if the player has 6 or 7 and the banker has 6. Put simply, there isn’t one. Unlike poker, this is a pure gambling game. In Blackjack you can decide when to split, stand or draw another card, depending on what’s been dealt. In Baccarat, you don’t know what’s on the table, and the dealer makes all the decisions about drawing cards. So a Baccarat game strategy may just consist of understanding that the longer you play, the more the house advantage will make itself felt. There’s no point trying to remember what has come up recently, because with six or eight decks, and a shuffle after every game, there is an equal chance of any card being dealt. In fact, your best strategy for online Baccarat, may be to manage your money carefully.